It's not often that we see a console title end up being a better fit on a portable system, but after putting Super Stardust Delta through its paces it's abundantly clear that the experience fits the system like a glove. With its huge number of game modes and quick bursts of intense shooting action, it's the perfect type of game for those times when you only have a few minutes to play. On the surface of it, Super Stardust Delta is all about the controls. 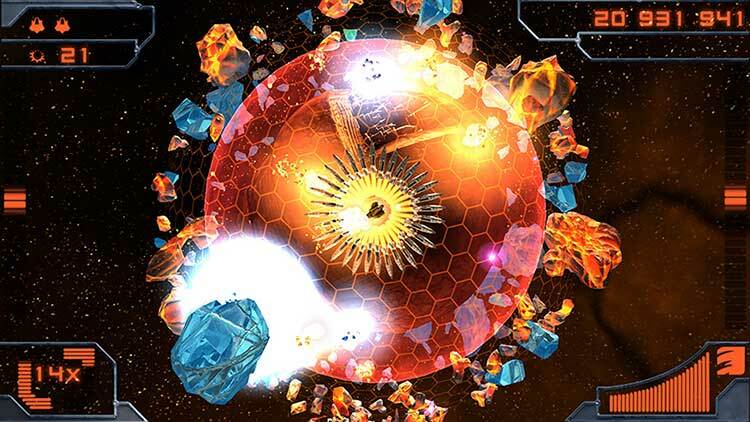 Housemarque’s glitzy twin-stick shooter makes the most of Vita’s thumbsticks, its campaign mode manages to rope the motion sensors in for camera movement and an EMP bomb, and then goes on to use both touchscreens for special weapon deployment. Meanwhile, the game looks stunning. Thanks to the NGP's processing muscle, the developers appear to have no trouble displaying multiple asteroids on screen, explosions and other special effects that look sharp on the five-inch display. 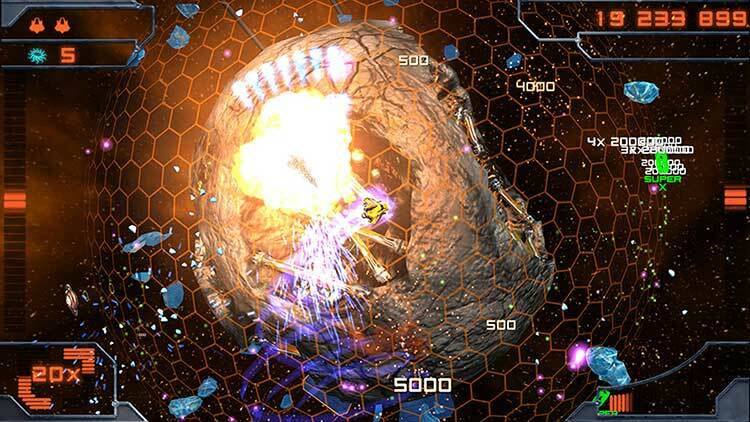 Bottom line, we loved Super Stardust on PS3 and Delta appears to be a worthy successor. We'll have more info in the near future. 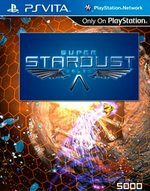 It would probably benefit from an additional mode or two (which, if the trophy list is to be believed, will be coming in the form of a DLC add-on), but with a $10 price tag and a terrific frame rate, Super Stardust Delta makes for a good, strong opener for the Vita's download-only catalog. If sharp-looking action is your thing, it's certainly worth your time. Super Stardust Delta looks beautiful, runs well, totes short load times and has a great soundtrack. That’s all well and good, but what makes the game so damn good is its addicting, twitch dual analog gameplay. Something tells me that many a PlayStation Vita gamer will have an incredibly hard time putting down Super Stardust Delta, if not for the gameplay then for the hyper-competitive nature of the leaderboards. 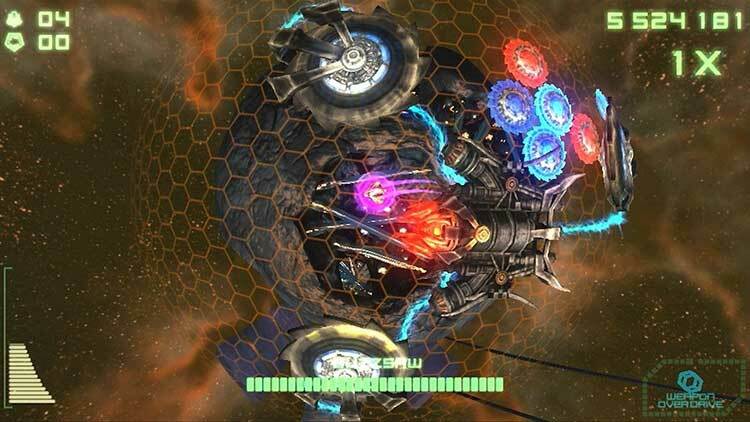 Much like the two before it, Delta shows us just how much fun a twin-stick shooter can be. 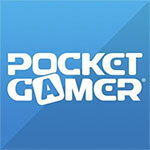 Thanks to the Vita’s dual analog sticks, the game can finally be played how it was meant to be, but on the go. With a slick presentation, optional Vita-centered controls, solid frame rate and a booming soundtrack, this is a no-brainer to fans of twin stick shooters, or arcade fans in general. To me, Super Stardust Delta is all about the Arcade mode, and the Arcade mode is simply amazing. The gameplay is solid, and the graphics and sound are astounding. If you want a cheap, entertaining demonstration of what the Vita is capable of, hold off on Uncharted and try out Super Stardust Delta. Super Stardust Delta's range of difficulty options means you can have a good experience with it whether you just want to relax and enjoy blowing things up or you're looking for a stiff challenge. And its captivating visuals show off just how bright and gorgeous the screen on your new Vita really is. It’s addictive, and the gameplay is so fluid and crisp you’ll want to keep playing. The action on-screen is intense, and the addition of some new weapons and Vita-specific features make this the best Stardust ever. Consequently, it’s also one of the better launch games, digital or retail, and worth picking up if you’re even remotely interested. And boy-oh-boy, do the colors, explosions, and leftover stardust trails look pretty on the Vita’s OLED screen. It's mesmerizing. 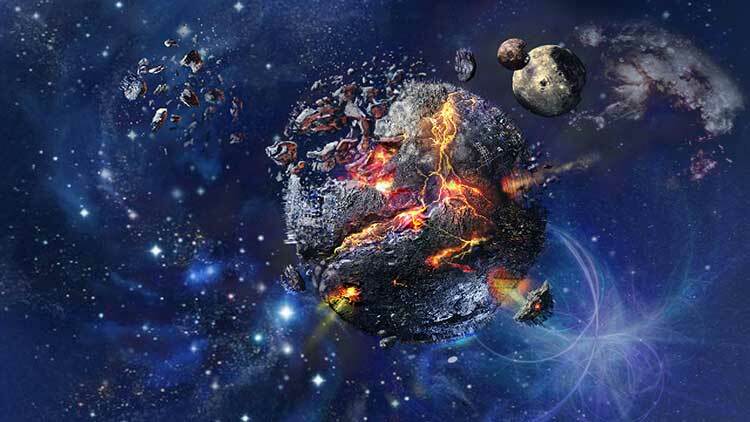 Super Stardust Delta isn't a revelation, and it doesn't do anything truly spectacular. It is, however, a solid and enjoyable experience that will keep players returning, providing simple arcade action perfectly suited to a portable system. As one of the least expensive downloadable offerings, Delta makes for a great early look at what Sony's new hardware can do, and should be a worthy consideration for those looking to get some instant gratification. You really can't say fairer than that. It looks fantastic on that big bright screen and the new control systems are utilised without feeling too tacked on and gimmicky — at least in the main mode. The mini games may only be there to show off the hardware but they still provide some potential for high score battles and are a welcome addition to the reasonably short main mode. Fans of Super Stardust should know what to expect by now. Super Stardust Delta does not reinvent the genre, but it does offer a few new tricks on top of an already immensely enjoyable package, all for an extremely reasonable price. If you own a Vita, there’s no reason not to add this stimulating twin-stick shooter to your collection. Super Stardust Delta doesn't deliver anything entirely new, but it's a refined variant of one of the best twin-stick shooters around that can now be played on the go. New modes, abilities and mini-games may not add much, but they don't need to. Competing with friends for a high score remains as enticing as ever, while the intuitive, minimalist design and shimmering cosmic chaos render Super Stardust Delta a dazzling intergalactic dust-up. Like everything on the Vita, the visuals are truly PS3 quality, with a rock solid frame-rate even when utter chaos is ensuing. 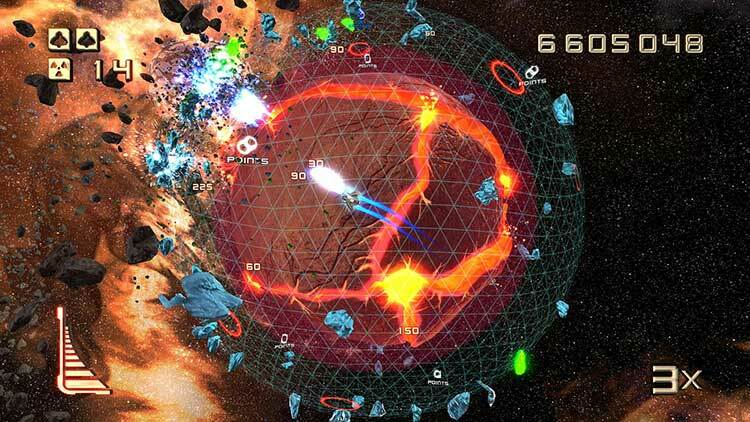 It might be a resolutely retro game at its core, but that doesn't stop it from being a technical showcase in its own right When Super Stardust Delta isn't trying too hard to show off the Vita's many control options, you're left with a supremely polished twin-stick retro shooter with stunning visual, and at a price that makes it hard to resist. Das vereinfachte Waffensystem, der Sternenstaub, die neuen Smartbombs und viele kleine Punkte-Spielereien passen derart gut zusammen, dass ich die Vita stundenlang nicht aus der Hand legen konnte. Super Stardust Delta ist ein blitzschneller Drahtseilakt, ein ständiges Hin und Her zwischen Ausweichen in letzter Sekunde und der Gier auf verführerische Punkte. Nicht einmal der PS3-Vorgänger hat mich seinerzeit derart gefesselt. Dank zwei Sticks und Touch-Flächen klappt die Steuerung bestens und das knackig scharfe Splitter-Spektakel sieht beeindruckend aus. Disponible pour la modique somme de 8 euros sur le PSN, Super Stardust Delta s'impose sans difficulté comme un titre incontournable pour tous les amateurs de shoot'em up qui ont déjà craqué pour la Vita. Cet épisode s'avère aussi réussi que son aîné sorti sur PS3 et propose même quelques améliorations qui savent tirer profit des fonctionnalités tactiles et gyroscopiques de la petite console portable. 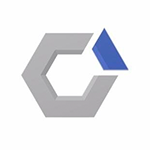 Tem tudo o que os clássicos têm, tem uma profundidade que ainda não tinha conseguido ter nos formatos móveis e tem todo o poderio visual que se tinha até agora somente numa consola de alta definição. Agora não somos mais prisioneiros do sofá, agora podemos desfrutar em qualquer lado da experiência "é tão simples que nem acredito que me viciei, mas deixa-me jogar só mais um pouco". Nonostante la carenza di modalità, Super Stardust HD si piazza in vetta nella classifica dei migliori giochi disponibili per la nuova console portatile di Sony. Il solido gameplay legato all'eccellente utilizzo dei due stick analogici, l'ottima grafica, la continua sfida per raggiungere i record più alti e il prezzo accessibile a tutte le tasche, vi regaleranno moltissime ore davanti allo splendido schermo di PlayStation Vita. Super Stardust Delta is de beste downloadbare game op de PS Vita en behoort tot één van de beste launchgames die het apparaat rijk is. Dankzij een steengoede combinatie van snelle gameplay, een kleurrijk visueel aspect, een opzwepende soundtrack en goed geïntegreerde leaderboards werkt deze pookjesshooter haast drogrerend; zo verslavend heeft Housemarque de game gemaakt. En dat voor een kinderachtige prijs van acht piek. Halen, PS Vita-bezitter!